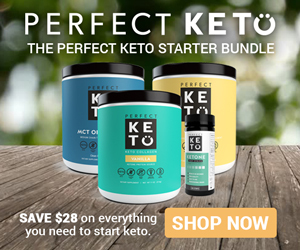 What exactly is a “keto-” or “ketogenic” diet? Well, whatever it is, it seems to be growing quite a follower base with more and more people now following a “Keto” regimen. Celebs like LeBron James, Tim McGraw, Gwyneth Paltrow, and more are all following a keto-type diet. Why would a superstar athlete, a country musician, and a powerhouse actress all follow the same eating plan? According to Maria Zamarripa, MS, RD, “[A keto diet] is promising for weight loss, may improve cholesterol levels, and may improve blood sugar levels for those who harbor type 2 diabetes.” It is a unique diet, which consists of 5% carbohydrates, 75% fat, and 20% protein and very different from the Atkins Diet. By face value, it makes sense why Lebron James, Tim McGraw, and Gwyneth Paltrow would want to follow such a plan. This low-carb, high-fat diet is ideal for those looking to maintain a certain body figure, especially for those on the big screen. We all know a handful of people who call themselves “vegetarian”. In fact, as of last year, experts rank it as the #4 most popular type of diet, behind the Ketogenic Diet at #3. This can’t be a coincidence. Harvard Health Publishing (of Harvard Medical School) lists out the numerous forms of “vegetarian”. 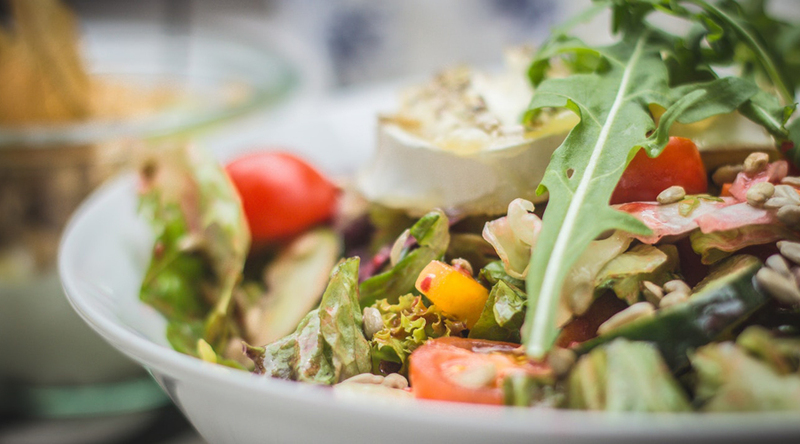 Even though the general concept of being vegetarian means not consuming any meat, poultry, or seafood, there are a multitude of variations within the vegetarian community. There is the traditional Vegan, which means “total vegetarian” (no meat, poultry, fish, eggs, or products derived from the aforementioned); Lacto-ovo Vegetarian, which means no meat, poultry, or fish, but eggs and dairy products are allowed; Lacto Vegetarian, which means no meat, poultry, fish, or eggs, but dairy products are allowed; Ovo Vegetarian, which means no meat, poultry, or fish, but eggs are allowed; or Partial Vegetarian, which means no meat, but fish and poultry are allowed. What is making more and more people follow a vegetarian-based diet? HHP delineates multiple reasons, such as religious convictions, health reasons, and animal concerns. With the keto diet and vegetarian diet being so close in structure, it would only make sense that eventually, the “vegetarian keto” diet would come into fruition. Let’s break it down. What does it consist of exactly? In a nutshell, it is a diet that is “free from meat, fish, and fowl flesh that restricts carbohydrates”, which is a combination of the above-mentioned diets. Because it has both “keto” and “vegetarian” elements, users on this diet are permitted to consume both eggs and dairy products if they so choose. So even though the name implies a more restrictive regimen, users of this diet do have slightly more freedom to consume foods that a traditional “total vegetarian” would not be able to. One of the main concerns with the vegetarian keto diet is how to fill that 20% macronutrient of protein. How does one do it without steak, chicken, and fish? It almost seems impossible to rid yourself of such foods and attempt to follow a vegetarian keto diet. Fortunately, there are foods out there that will satisfy your protein requirement. Some of them include different dairy products (if not totally vegan), tempeh, natto, miso, tofu, soy products, and nuts/seeds. These can easily be integrated into everyday food items, like salads, soups, and snacks. Still can’t get enough? Supplement your remaining protein needs with a plant-based protein powder or a protein powder specifically designed for vegetarians. You can also check out these great Keto Bars. What about the high-fat content? Fat should not be attributed to “bad health”. Cardiologist Dennis Goodman, Director of Integrative Medicine at New York Medical Associates, says that the “medical establishment got it all wrong”. A study from the National Institutes of Health favors a diet that is low in carbohydrates and high in fats, as “[it]improves nearly every health measurement, from reducing our waistlines to keeping our arteries clear…”. There are several “healthy fats” on the market that many people are now choosing to consume: olive oil, coconut oil, avocado oil, flaxseed oil, etc. Many of these oils have now become household names. Nuts like pecans, walnuts, almonds, and butters made from the above are perfect for satisfying the fat content of the diet. Additionally, there are dairy and non-dairy fat options that will supplement the much needed fat macronutrient. What if I’m an athlete (or I work out regularly)? Asking someone who is a full-time athlete or a regular gym goer to completely bring carbohydrates down to a minimum is not entirely feasible, but there is a right way to do it. The answer? Adopt a targeted diet, making sure that you leave a window before and after training (~half an hour usually) to consume fast-acting carbohydrates, in order for your body to have the energy it needs to undergo physical exercise. No one is disputing the necessity of glycogen. That is why a vegetarian keto diet does not boast a 0% carbohydrate macro. The implications of such a plan are both impractical and potentially dangerous. What if I’m vegan? Well, as the name suggests, a keto-vegetarian has the option to consume dairy and/or non-dairy products. Vegans follow one of the strictest diets and thus, wanting to be both is just not feasible. Must I sacrifice taste? Absolutely not. The issue with traditional sweeteners is the excess carbohydrates that they may possess. Dr. Andreas Eenfelt, MD, breaks down the pros and cons of low carb sweeteners here if you’re in search of the perfect sweet addition to your drink or meal. Dr. Eenfelt maintains that as you continue on this type of a diet, it will be easier and easier to give up (or lessen, rather) your sweet cravings. One of the hardest parts about breaking a long-term habit is following through, not the initial break-up. A diet like this helps with that aspect, as you’re not totally giving up sweeteners; you’re just choosing different options. On the topic of taste, what is good-tasting food without seasoning? On a vegetarian keto diet, many seasoning options are available. We’ll break it down into condiments and spices. For sauces, there are plenty of low-carb choices: soy sauce (low-sodium available as well), Worcestershire sauce, mayonnaise (made with cage-free eggs), sugar-free and high-fat salad dressings, and more. For spices, there are just as large of a selection, to include basil, oregano, parsley, rosemary, thyme…are you starting to see the trend here? All of these herbs and sauces are everyday items that people of all diets use. The only difference is that now when you go to the grocery market, you’re looking for low-carb, high-fat content seasonings. How do I know if the Vegetarian Keto Diet is for me? …Then the Vegetarian Keto diet may just be for you. …Then the Vegetarian Keto diet may not be right for you. In conclusion, think of the following foods. Miso soup, gumbo, blueberry Cheesecake…do any of these food items sound appetizing? Well, these are all foods that you can make with vegetarian keto ingredients. The point? It is possible to follow a vegetarian keto diet.